April 10, 2019 -- Welcome to the next piece in our atomic spectroscopy series! This post will feature inorganic analyzers. At The Science Advisory Board we consider inorganic analyzers to include instruments that detect and measure elements that are not typically associated with organic chemistry, as well as organic elements that are detectable in inorganic materials (such as measuring carbon in steel). However, the breadth of the field and variety of analysis techniques poses some classification difficulties. For example, mercury can combine with other elements to form organic compounds, which may act as environmental pollutants with greater toxicity than inorganic mercury compounds. While this is true, mercury is typically thought of as an elemental constituent of inorganic compounds and thus all mercury analyzers will be considered in this post. The metal analyzers instrument category measures predetermined elements in steel, aluminum, and other metal alloys. Commonly measured elements are carbon, sulfur, hydrogen, and oxygen. On occasion these analyzers may be used for non-metallic sample analysis, but their primary function is metal analysis. The remaining inorganic analyzers are categorized as “other”. This includes analyzers for samples that are non-mercuric, non-metallic and non-biological in nature. Common instruments within this category include analyzers for arsenic, sulfur, boron, chlorine, and the cyanide ion. Although cyanide is not strictly an element, cyanide analyzers are included within this section. This category also includes elemental analyzers for water purity assessment, wherein commonly measured elements are fluorine, selenium, iron, cadmium, chlorine, lead, arsenic and mercury related elements. Mercury analyzer systems are expected to grow at the highest rate. Mercury, which is toxic in its unpaired state as well as in organic and inorganic forms, is commonly screened for in water and soil samples. The contamination can pose serious threats to biomes generally and to human life specifically. The single largest instrument market is for metal analyzers, the most common application of which is the determination of carbon and sulfur content in steel and other alloys. However, a variety of other analysis applications, such as the measurement of oxygen, nitrogen, and hydrogen in metallic samples, is also used. This includes instruments used for the identification of trace elements in other sample types, such as coal. 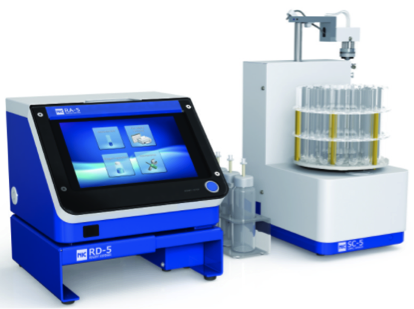 Naturally, inorganic analyzer sales are heavily influenced by the metals industry. At The Science Advisory Board we cite decreasing US steel production and a slowing demand in China to have negatively impacted the growth in the inorganic analyzer industry. Inorganic analysis can be applied to a wide variety of industries including pharmaceutical, adhesives, cosmetics, and food. 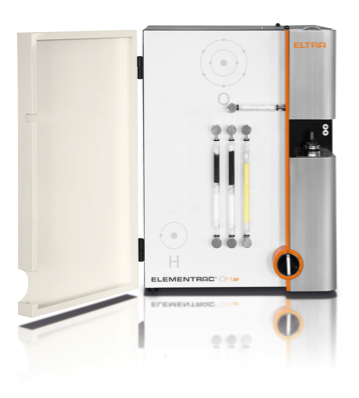 In the pharmaceutical industry for example, inorganic elemental analyzers may be employed for quality control of samples to ensure high quality and safe drugs are manufactured. Since the instrumentation is sensitive down to the parts per million to parts per trillion level, inorganic analyses can be used to identify contaminants as well as elements present within a product. How has inorganic analysis been a part of your work? How would you like to use this technology in the future?